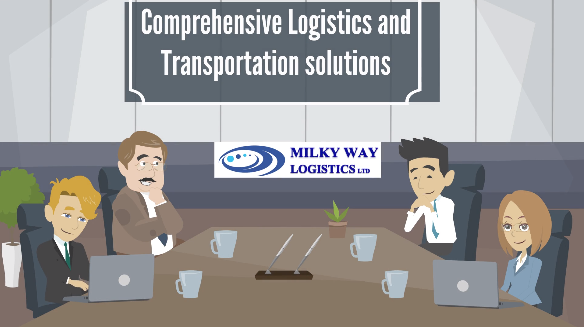 Milky Way Logistics offers specialist Air freight from London to Kuwait. The main route for our bespoke specialist Air freight service from London to Kuwait is via UK’s major airport which is London Heathrow known as LHR to Kuwait International Airport known as KWI. Air freight service from London to Kuwait is available for all different terms of door to door, door to airport, airport to airport and airport to door. The service could include clearance, custom entry, security, documentation, handling, inland haulage, packing, palletising, marking and labelling, storage etc. The packaging for your goods must be in a way that it protects your goods all the way during the shipment. The wooden boxes and pallets are the most recommended among the rest. The boxes, crates and pallets of up to 200 cm height could be shipped by normal aircrafts however taller packages must go with freighter aircrafts which is more expensive. The Air freight pallets have the advantage of easier handling of cargo while avoiding any contact with the goods throughout handling. There is certain standard size of pallets (48×40 inches- US and different EUR pallets) recognised globally however there might be specific requirement of pallets size and material for some destinations. Among different type of pallets; wooden pallets, plastic pallets and corrugated pallets are more popular for Air freight. The packaging must be meeting the requirements of destination or there might be risks of the shipment being rejected or returned to its origin. For Air freight from London to Kuwait also the consignor is responsible to check requirements of Kuwait for receiving shipments. Some Arab countries including Kuwait would require submission of Certificate of Origin signed and approved by the Chamber of Commerce of the country of origin. For shipping goods via Air freight; there must be serious considerations of packaging because of the risks involved while shipping by Air freight including but not limited to the punctures and abrasions, compressions, vibrations, shocks, stacking pressures and handling issues. For this the packaging of goods must be in a way that is risk free all the way from origin to destination. For any shipments of Air freight from London to Kuwait please contact Milky Way Logistics at enquiries@mwll.co.uk to get detailed information and to be assisted with your Air freight.